In this collection of fabrics, Deb Strain presents a vintage reflection of a bee-theme using quotation and typeface with contemporary patterns and designs. Kit makes a wonderful quilt 78" x 84". You will need 4 yards of backing fabric. 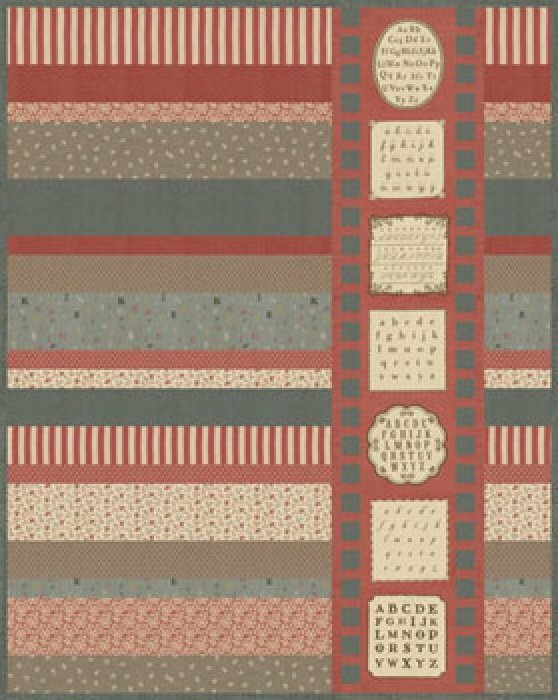 The18th quilt in the Collection for a Cause series, the vintage prints in rich blues, reds and browns that comprise this collection were chosen from an 1889 French mill book and reproduced to maintain authenticity in color and scale. 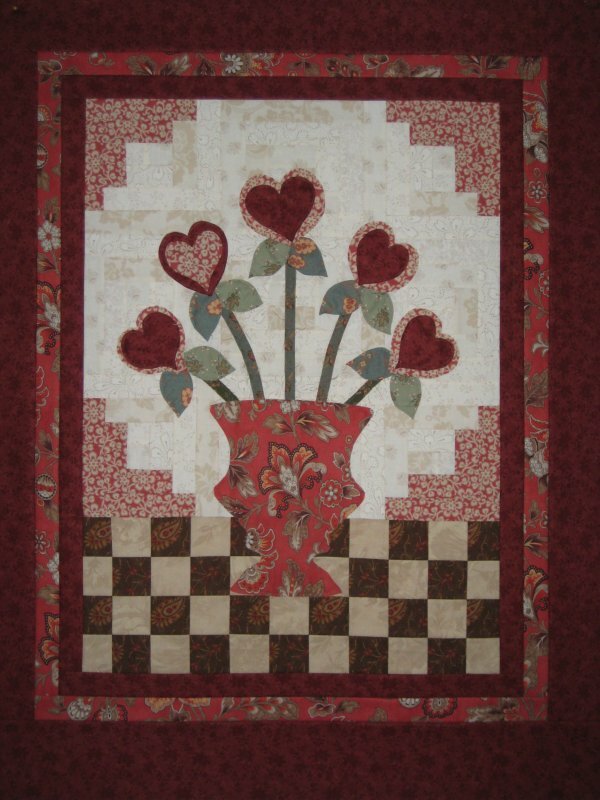 Size 67" x 78"
Valentines wall-hanging 32" x 40"
This enchanting baby quilt is made using La Petite Ecole by French General fabrics. This darling baby quilt is 46" x 55". Kit includes all fabrics for the quilt top, binding and backing. 57" x 72" This is another wonderful French General quilt kit from Moda. This quilt is easy and quick the traditional French General no-border style. 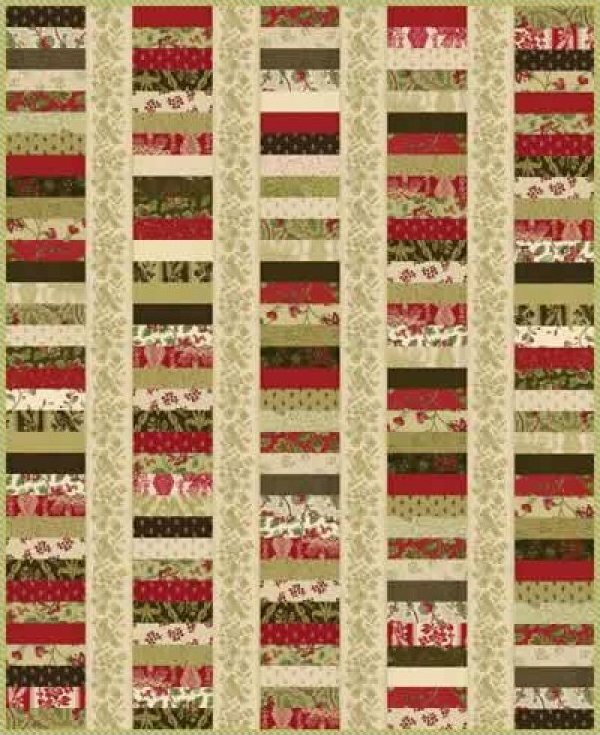 55" x 68", this kit is fast and easy with a Jelly Roll and your choice of vertical sashing: red or tan. 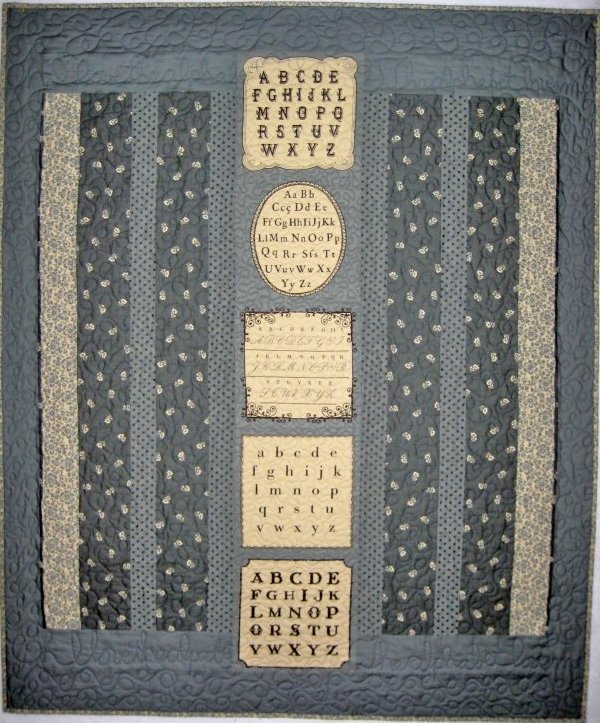 This kit includes the top, backing, and binding!